The Pearl in Rosemary Beach, Florida is boutique perfection that opened in 2013. With 55 rooms and a gorgeous interior and exterior, we practically had to be dragged out of there. While we didn’t stay overnight, we toured the property and spent quality time on site this year and last, sipping cocktails at the bar, eating in the Cuban-themed onsite restaurant Havana’s Beach Bar & Grill and gazing at the ocean from the rooftop lounge. Rooms: The rooms are exquisitely light and airy with tech-y touches like an iPad on which guests can order room service, control room temperature and contact the concierge. There are door ringers which can also signal “do not disturb” while the nightly turndown service comes with freshly baked goods. The balconies overlooking town or with ocean views are comfy spots to take in the scene. Pool: The pool deck is next to the spa and therefore it’s an 18 and older sanctuary. Guests of the hotel have privileges at the community pools within Rosemary Beach so families with younger children can hit those after the beach. 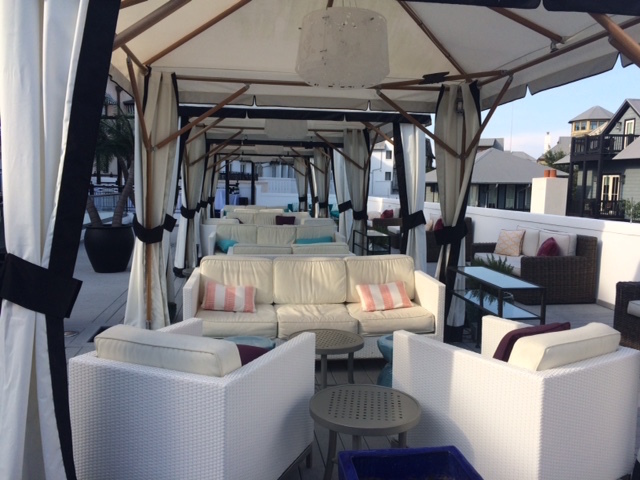 The sizable cabanas above the pool deck are a fun place for groups to relax and are gratis with a $300 tab for food and drink. Beach chairs and umbrella setups are complimentary each day. Décor: The property features artwork by Tommy Crow – and it’ll make you want to visit his shop to bring some pieces home for yourself. Colorful and whimsical, the lobby and rooftop lounge are pretty public spaces and Havana’s is filled with Crow’s Cuban-inspired artwork which gives it a really authentic vibe. 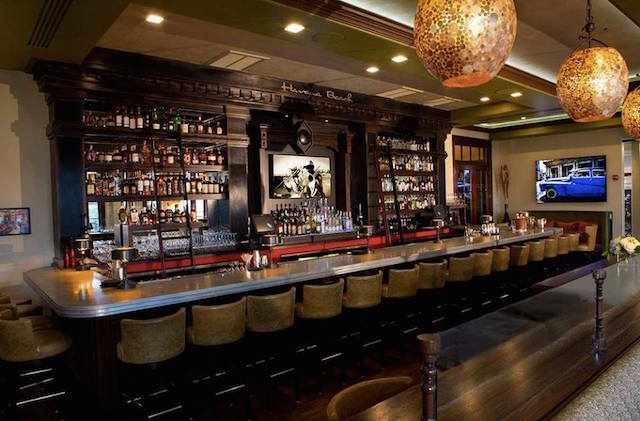 Dining: We experienced cocktails at Havana’s beautiful bar as well as dinner and it makes you want to hop on a plane to see if the real Havana is as impressive. Start with a Cuban style cocktail like the Hemingway Daiquiri (Havana Club rum, maraschino liquor, sugar, lime juice, grapefruit juice) or the Cuba Libre (English Harbour rum, juice of half lime, Mexican Coke) and huge appetizers of tuna escabeche or cured ham and artisan cheese empanadas filled with spicy chorizo. For dinner we ordered the filet and grouper, both excellent. Desserts like the coffee semifreddo (coffee custard, cake doughnuts, milk foam, espresso ganache) and a chocolate martini are a decadent way to end the evening. One of the best features of The Pearl is its location. Built in the middle of Rosemary Beach’s town square puts it in the heart of a lovely seaside town bustling with energy, shops and open-aired cafes. Bottom line: The Pearl is indeed a gem. Rates in August start at about $350. 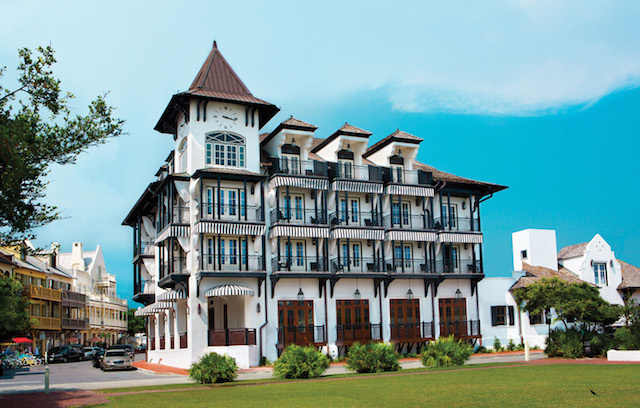 The Pearl Hotel – 63 Main Street – Rosemary Beach, Florida 32461. 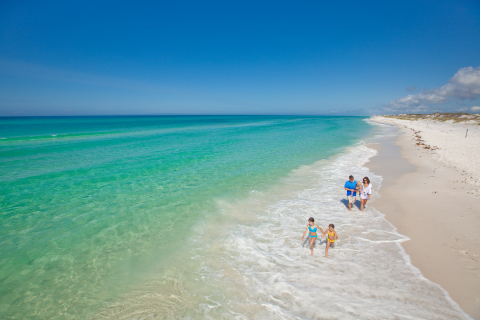 S OUTH WALTON COUNTY, Fla.–(Business Wire)–With the announcement of the 2015 Forbes Travel Guide Star Ratings, two hotels in the St. Joe Club & ResortsSM collection — WaterColor® Inn & Resort and The Pearl Hotel, in addition to the WaterColor® Inn’s onsite restaurant Fish Out of Water® — have received four-star ratings. 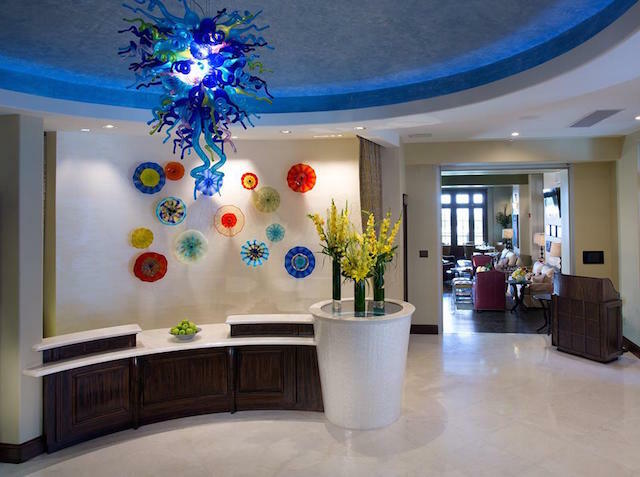 This is the first time that Forbes Travel Guide has named The Pearl Hotel, which opened in August 2013, to this prestigious list, while WaterColor® Inn & Resort has maintained its four-star rating for three consecutive years. Fish Out of Water®, the multi-award winning establishment helmed by Corporate Executive Chef Todd Rogers, is also new to this list. Evaluated by a team of Forbes experts against up to 800 rigorous and objective standards, the luxury travel guide provides comprehensive ratings and reviews of hotels, restaurants, and spas around the world. Inspired travelers looking ahead to their spring and summer vacations will find a variety of lodging packages available at both properties, all including access to the St. Joe Club & ResortsSM collection of amenities and activities found throughout the region, including private golf club access; complimentary beach setups; bike, kayak and canoe rentals; and much more. WaterColor® Inn & Resort, which boasts a Four Diamond rating from AAA and was named the “#1 Best Resort in Florida (Gulf & Central)” in the 2014 Condé Nast Traveler Readers’ Choice survey, is nestled on nearly 500 acres of sugar-white sand beach and offers deluxe accommodations designed by David Rockwell, including the newly renovated 60-room Inn, and a collection of well-appointed vacation residences. The family-friendly resort features a day spa, six pools, a Kids’ Camp for guests aged 3-12, and four onsite restaurants. 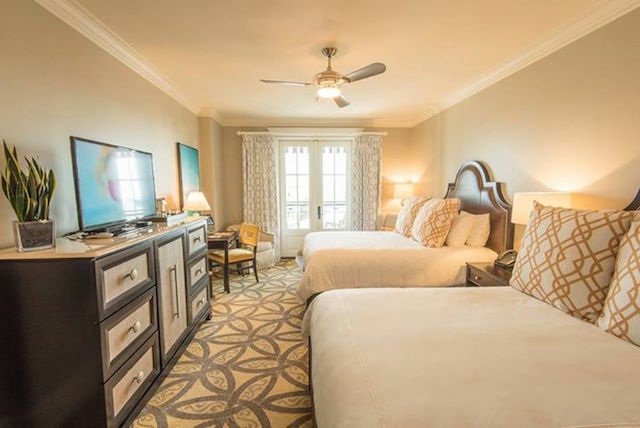 Just down the beach is The Pearl Hotel, an intimate, 55-room boutique hotel and the newest property in the St. Joe Club & ResortsSM portfolio. 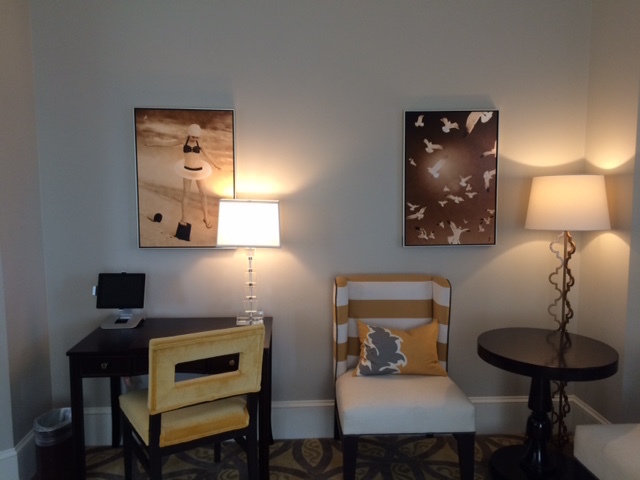 Named a “Best New Hotel in the World” and the “#1 Best Hotel in Florida” in the 2014 Condé Nast Traveler Readers’ Choice Survey, in addition to earning a top spot on Southern Living’s “The South’s Best New Hotels of 2015” list, The Pearl Hotel features elegant furnishings, private balconies, and a guest services-integrated iPad in every guestroom. 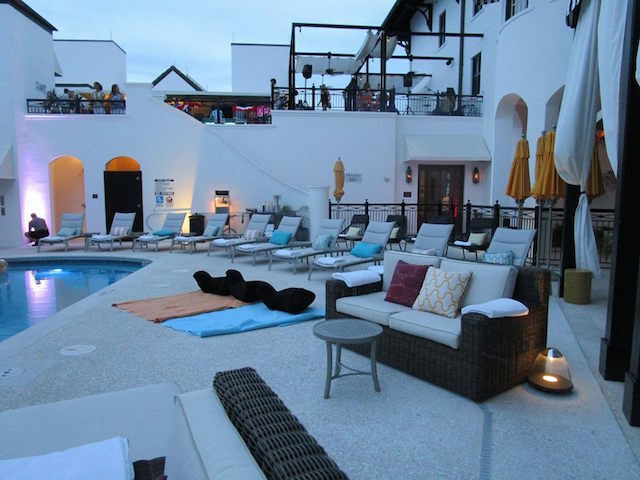 A destination restaurant, Havana Beach Bar & Grill, serves up Gulf Coast Americana cuisine with Old World Spanish, Portuguese, and French influences, along with an adults-only pool and a rooftop lounge affording endless Gulf views. One of the benefits of being part of the St. Joe Club & ResortsSM portfolio is that guests of these distinctive hotel properties also enjoy access to a bevy of the private membership club’s amenities, including golf and private beach club access; complimentary bicycle use; kayak, canoe, pontoon boat, and YOLO Board rentals; beach bonfire services; and much more.